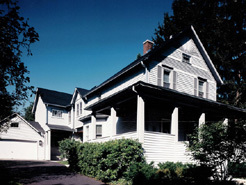 Residential Projects | Sterling Renaissance Inc. :: A general contracting and construction management company. 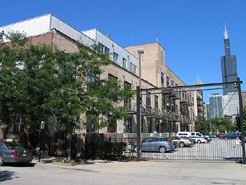 Site work and new construction of two - 36 unit condo buildings (65,000 sf each) with indoor parking. 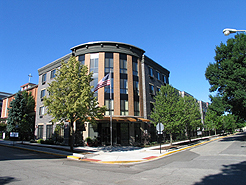 Full gut remodeling of an SRO into 68 apartment units (City of Chicago tax credit project). 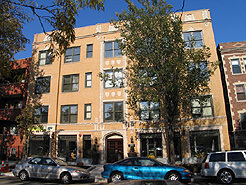 18 Unit gut remodeling of an existing church into condominiums. 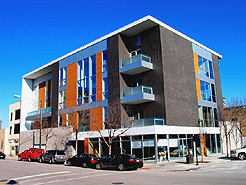 Five story 59 unit new construction mixed use with commercial space and interior parking. 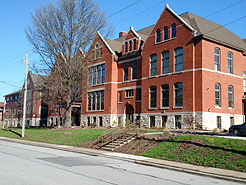 Taylor Renaissance - Davenport Iowa - Construction manager for a 42 unit senior apartment building consisting of new three story building and the remodeling of a 102 year old school building. 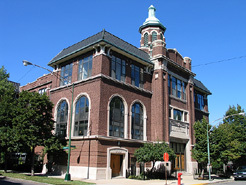 Financed with tax credits from the Iowa Finance Authority. 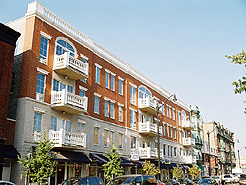 Mixed use new construction - four story high - end condos (12 units) & first floor commercial / parking. 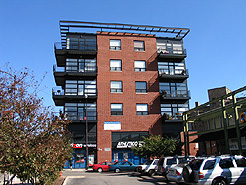 30 unit six story mix use condo with grade level commercial and parking garage. 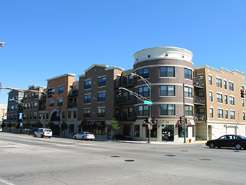 90 unit senior apartments - 8 story new construction & site work with grade level interior parking. 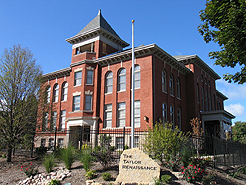 Jackson Renaissance - Davenport Iowa - Construction manager for a 48 unit senior apartment building consisting of a new 24 unit three story building and the remodeling of a 107 year old school building - Financed with tax credits from the Iowa Finance Authority. 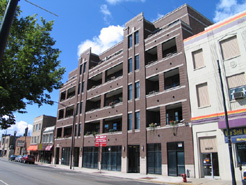 New construction of six story - 36 unit condominium and commercial spaces. 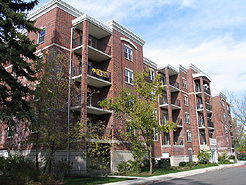 18 Unit new construction condominium project with first floor commercial area. Convert two residences into one luxury condo. 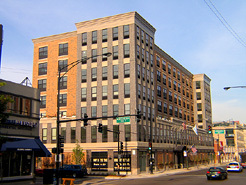 Gut remodeling of an existing paper storage warehouse into 48 single level and loft condos.